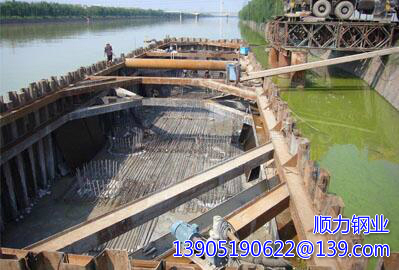 For watertight steel sheet piles, the sealing requirements are very high. In order to ensure the sealing, piling usually use cotton wool, butter and other filler stuffing seams. However, the effect of doing so is not good, so the correct installation becomes particularly important. 2、Secondly, some of the pump 1m deep to stop the time of reason, the use of pressure, the internal support, found in the time of leakage. 3、in strict accordance with the installation support, welding quality of the number of strict management design requirements.